Topics: Contact Us, & Disclaimers. Singlehop Inc (Illinois, Chicago) is the location of the Apache server. 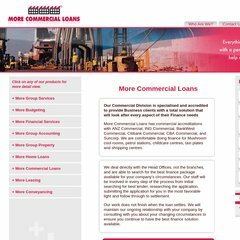 Morecommercialloans.com.au's IP address is 184.154.230.7. It has 2 DNS records, ns1.siteground150.com, & ns2.siteground150.com. PING (184.154.230.7) 56(84) bytes of data.